Our customised labels offer you the convenient labelling solution for a wide range of needs. 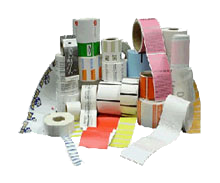 We can supply many different custom printed labels in the size of your choice, from roll to sheet, fanfold, stock and digital labels, whether you need hundreds or thousands for your shipping and inventory requirements. You can choose to have your bespoke labels printed on a wide range of materials, including vinyl, polyester, anodised aluminum, metalon and Tyvek as well as paper. Our customised sticky labels are available as peelable, permanent and extra-permanent. Wherever and however you use them, our custom labels are sure to deliver. Please complete the form below to enable us to obtain all the information required to provide you with your quotation. Please provide us with any other information you feel may be relevant to help us quote you accurately. Use our customised labels to enhance your mail-shots and shipments. Printed with the design and colours of your choice, plus your company logo, customised addressed labels add personality and credibility to your products or packages. Thanks to our speciality in supplying reliable and durable customised self adhesive labels tailored to your requirements, we can provide the perfect custom label solution for many different business and industrial applications. From stock labels to digital, sheet, fanfold, and roll labels, we also give you a flexible option for the type of customised sticky label: permanent, extra-permanent or peelable. You can choose the material you want your custom printed labels made from: top-grade vinyl is popular because it is waterproof, resists scratches or tearing, and the colours don’t fade. Other materials include paper, anodised aluminum, polyester, metalon and Tyvek. We supply virtually any size and for an extra charge your bespoke label can be specially shaped too. Our custom self adhesive labels are great for sticking onto our strong and sturdy cardboard boxes for quick and convenient labelling.